MONTREAL, ON – McAuslan Brewery has announced the release of two limited edition gift-worthy beers in time for holiday celebrations – one the first in a new series of barrel-aged beers, and the other an annual vintage favourite. Our Barrel Aged Scotch Ale is a big, bold Scotch Ale that is full of wonderful Pale and Caramel malts that give the initial flavours. These flavours are then carefully aged in Bourbon barrels for weeks to enhance the richness of the caramel flavour and develop notes of vanilla, dark fruit and bourbon. The dark mahogany colour coupled with the rich body make our Barrel Aged Scotch Ale a beer to be enjoyed. 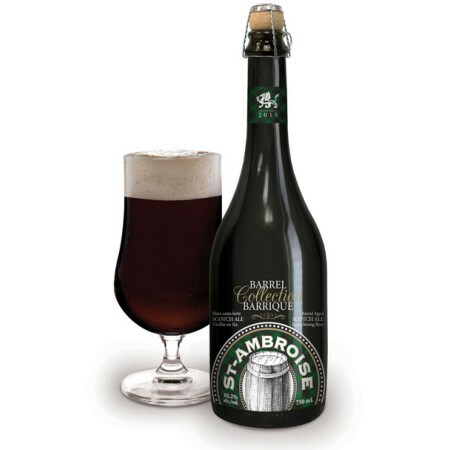 St-Ambroise Barrel Aged Scotch Ale is available in a limited run of 750 ml corked & caged bottles at select beer retailers in Quebec. 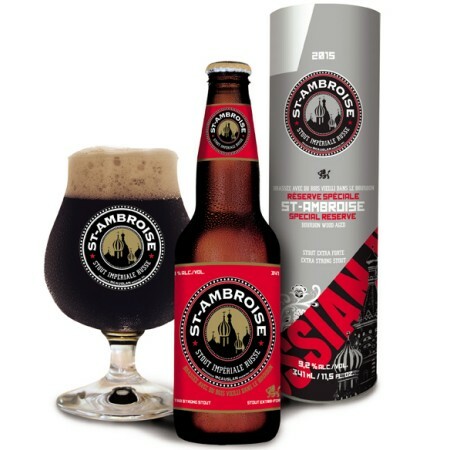 Made from a blend of barley malts, St-Ambroise Russian Imperial Stout is infused with Cascade, Goldings and Willamette hops, resulting in an outstanding hop-character with a smooth finish. Bourbon wood-aged, this full-bodied ale has a rich, smoky aroma with hints of vanilla, espresso and chocolate. St-Ambroise Russian Imperial Stout is available in 341 ml bottles packaged in gift tubes at beer retailers in Quebec while supplies last.